I want to talk about a subject I've thought about for a long time: Names. When I was pregnant with my son, I went into a kind of naming paralysis, because it felt as if naming someone was a huge responsibility with potentially huge consequences. We've all heard that a girl named "Bunny" will never become CEO of a large corporation; I've always liked the name George, but could somehow in my mind hear a shrewish wife going "Geoooorrrge . . . " and that made me shudder. I also have a deeply personal reason for anguishing over names: I have always hated my name, because it was the cause of a great deal of misery in my childhood. No one in Minnesota in the 1950's had ever heard of the name "Elise" -- my parents had actually never heard of it either. But my mother saw an advertisement in a magazine that included a beautiful red-haired woman named Elise Gammon, so . . . 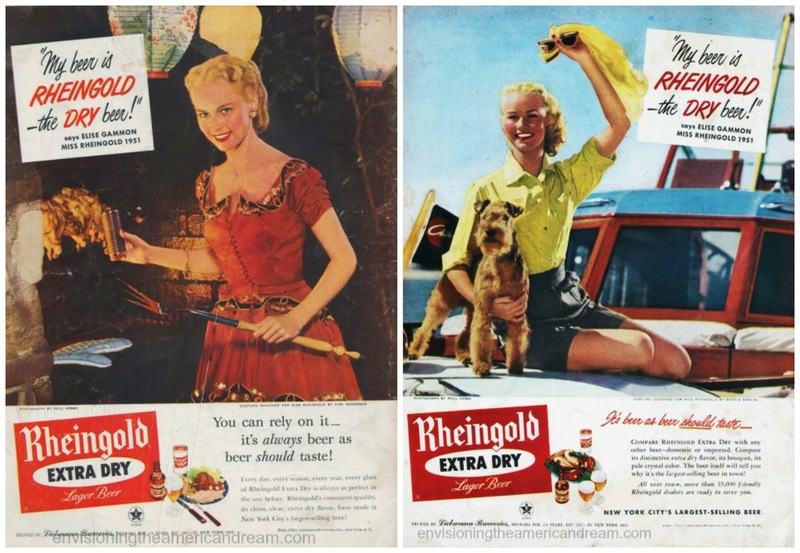 I was named after Miss Rheingold Beer of 1951. My mother had seen her picture and torn it out of a magazine, because she liked the name and she thought that Miss Rheingold was so pretty. Borden milk's "Elsie the Cow." And since from about 5th grade on I was, well, a little cow-like myself, the nickname was so apt that kids just had to use it. Add to that the fact that I'd been smart enough to skip a grade and that teachers were likely to say things like "Let's ask Elise -- she always knows the right answer," you can imagine what kind of a field day kids had. At this point, the name is more common, so that some people get it right, but a fair number of people don't, and I am still called "Elsie" on a regular basis. I try to keep the frostiness out of my tone when I reply, "It's Elise," but the apologies I get after correcting the person suggest I'm not doing as well as I'd like on that one. So when it came to naming my son, I agonized. Yes, I wanted to choose a name that was neither ordinary -- no Davids or Michaels for me -- nor trendy -- no Brandons or Ryans -- but one that was dead easy to pronounce, and that couldn't be made into fodder for teasing. We ultimately agreed on "Devin," a Gaelic name that means "he who can put his highest thoughts into words," which is not a bad wish for an English teacher's kid. And he was never teased about his name -- once in a while he was called Kevin, nothing too funny about that, and I heard that once in a while kids would call him "Devine," but again, not a lot of potential there. Oh, he was teased about plenty of other things, but it made me happy it wasn't about his name. And by the time he had a brown belt in karate, kids pretty much left him alone. I gave him a middle name that followed the German custom of being hyphenated -- in German, your given name is hyphenated with your father's, so "Heinz-Otto" is the son of Otto. Well, I had an inkling that this was going to be our only child, so I hyphenated his father's and his grandfather's names: Carl-William. Unfortunately, he doesn't share my affection for German customs, so he rarely if ever uses his whole middle name -- he's Devin C., not Devin C.-W. Oh well. How do you feel about your name? Are you happy with it? At some point it becomes so much a part of you that you can't imagine yourself without it -- I can't imagine that if I'd been a boy, my name would have been Allen, and my son just thinks it's completely weird that we thought about naming him Wyatt. Did you agonize over naming a child, if you have one?